Wow, 2016 sees really to be about skincare! Acne, as most of you know, has been the bane of my life for a very longtime. So long that at this point my main concern should be ageing signs and not spots. Caught between preventing ageing signs and fighting blemishes, there is very little on the market that will cover both aspects of my skincare needs, furthermore, one usually aggravates the other, as anti-acne products are extremely drying and aggressive, and anti-ageing products are usually quite rich. Imagine my happiness when I came across the SkinCeuticals Blemish + Age Defense Potent Treatment solution at Dermacare Direct. Sounded perfect! This product is a clear solution, very slightly viscous, which is oil-free and contains salicylic (1.5%) and salicylic capryloyl (0.3%), dioic (2%), glycolic (3.5%) and citric (0.5%) acids. It’s the first to market to have dioic plus alpha and beta hydroxy acids in its formulation, to fight blemishes and fine lines and uneven skin tone and texture. It applies and absorbs very well. The feeling is slightly tingly when you apply, but only for a few seconds. There was no redness, no irritation and better still, no dryness, of any sort. Prolonged use did cause my lips to chap more than usual this winter, as I apply on the chin, where my blemishes are, twice a day, but that is expected with any acid products. I’ve been using at night on the whole face and day on the problem areas only (mainly chin) and noticed an improvement, not only in blemishes but skin in general, mainly tone and radiance. Using now over a few weeks, I can now notice an overall improvement. I feel it does target all the promised areas. I’ve been using this product in conjunction with the SkinCeauticals B5 solution for extra moisturisation, as my skin suffers at this time of the year, plus other serums and moisturisers in my skincare routine. Overall impressed. 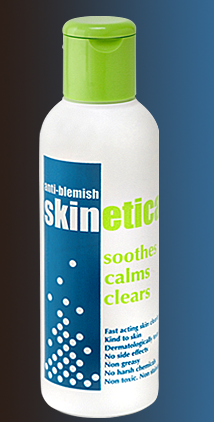 I had never tried SkinCeauticals before, but heard great things. This certainly lived up to the reputation of the brand and more. I am already panicking when it gets to the end, but I have to say it is worth the price tag. Dermacare Direct is an online cosmeceuticals company that stocks the best brands on the market. They also have the lovely Andrea, a cosmetic nurse, who is qualified to give the best, honest advice when picking your skincare to best suit your needs. Plus, she is super lovely! You can get the SkinCeauticals Blemish + Age Defense for £64 for 30ml from Dermacare Direct. They so stock other SkinCeauticals lines and various other cosmeceautical brands at great prices!